I'm feeling the spirit of Christmas a little early this year because this year Christmas is going to be at my house for the 1st time. (Ok well not the 1st time 100% because Christmas 2005 was at my house but not on Christmas day, it was 4 days before because on Christmas day me and my husband were in New York) This Christmas is also the 1st Christmas I will actually be home in Australia for it in about 3 years. Last year we were in Tokyo, and I had to work (only 4 hours) but I ended up really sick after 1 hour at work and I almost vomited on a pregnant student while rushing to the toilet, so I ended up going home early and vomiting the whole night. It turned out I got Noro virus, a bad stomach flu. 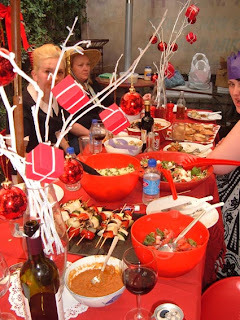 I had friends coming over for Christmas dinner and I was to sick to cook or do anything. It was horrible. Well this year I'm going to go all out to make it a Christmas to remember. We had the lunch outside (remember I live in Australia). At the time we lived above a restaurant and they had an outdoor courtyard which we got permission to use. 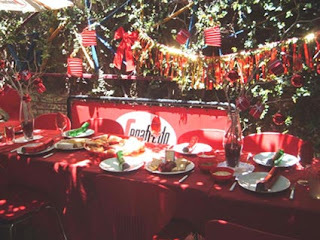 I decorated the area with lanterns and bows and draped red table cloths on the tables and I spray painted some twigs white and put them in vases with red stones and decorated the branches with red baubles. We ate a non traditional vegetarian feast of salads, quiches and satay skewers. 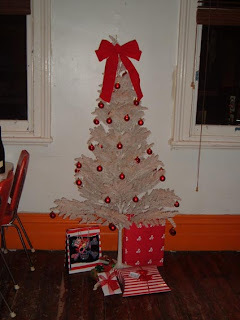 This was the Christmas tree in 2005. 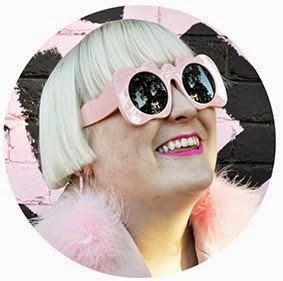 Our house had ugly orange walls and skirting boards and wooden floors that needed to be polished very badly. It was a great location, but the house was ugly and falling apart. This year our tree will look much better in our apartment, plus I'm going to add a few more ornaments this year. 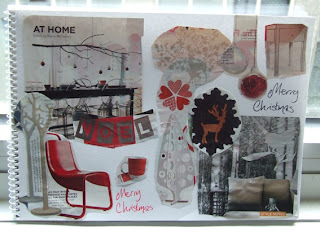 This year I'm still feeling the red and white but I am thinking of adding more quirky elements. I made this collage of all my fave ideas for Christmas right now. 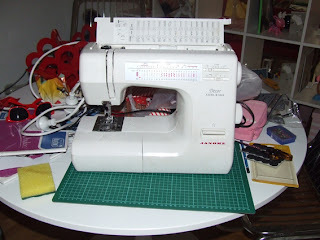 Which inspired me to get out my sewing machine and make a huge mess! 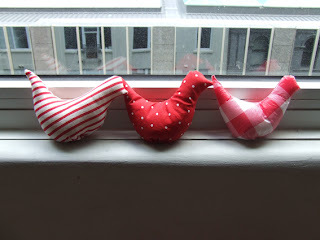 To make these Kawaii bird ornaments for the tree! 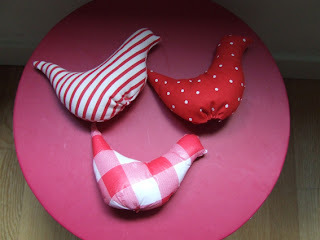 These are super easy to make, just make a paper pattern in the shape you like and cut out 2 pieces of fabric and sew together, leaving a small gap for the stuffing. In about 5 minutes you have a cool decoration for not much money. Yay! I am also going to make hanging mobiles of deers and birds and snow flakes in red and white plastic. I'm going to hang Asian lanterns from the ceiling in red and pink. I also bought some love heart shaped fairy lights for the tree. So many ideas. Stay tuned for more craft projects!